Kuwait is a tiny emirate located in the far north of the Persian Gulf, squeezed in between Iraq and Saudi Arabia. Massive petroleum reserves transformed Kuwait into one of the wealthiest of the Gulf States in the mid-twentieth century. A stock market catastrophe in the early 1980s, however, and the invasion by Iraq a decade later, have left a mark on the national psyche, with the result that Kuwait is more traditional and less glitzy than, for example, the UAE. The country preserves the feel of an oasis, with majestic palms and such attractions as museums, beaches and fine dining. The Arab Spring uprising of the early 2010s had some effect on the country, but the Emir remains firmly in control. 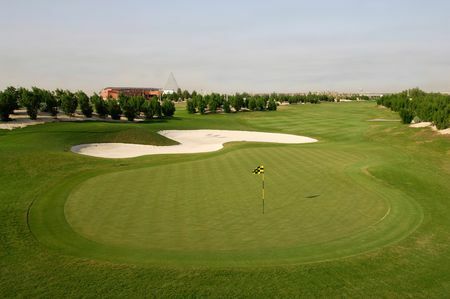 Golf is nowhere near as popular in Kuwait as it is in some of the other golf countries, but there are two courses here, both featuring grass, rather than sand, playing surfaces. The best of the pair is the full-sized, 6730-yard layout that renowned designer Peter Harradine created for Sahara Golf and Country Club and that recently celebrated its first decade in operation. 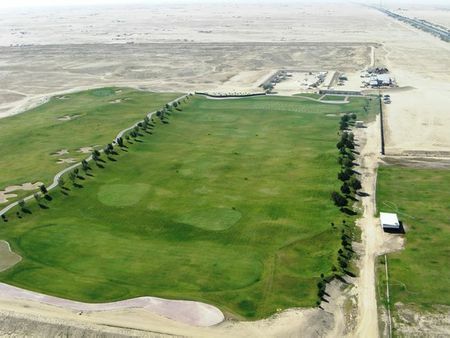 The newer course is at Kuwait International Golf and Country Club; 9 holes are currently open for play here, and a further 18 are in the planning stages or under construction.